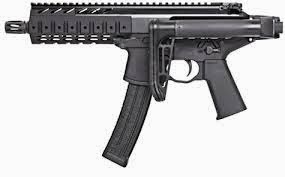 Bluegrass Pundit: Question of the day: Why does the USDA need submachine guns? Question of the day: Why does the USDA need submachine guns? Is there a giant boll weevil out there somewhere???? Following the Department of Agriculture’s May 7 solicitation for submachine guns with 30-round magazine clips, Rep. Jim Bridenstine is demanding an explanation. “The fear of my constituents is that the USDA is expanding outside of its intended mission,” the Oklahoma Republican wrote the agency on Wednesday. “It seems that the USDA, which oversees America’s vast tracks of forested land, may be preparing itself in the event some cowboys want their heads of cattle to munch government-owned grass,” the website stated.